Can’t see where to click ‘MERGE’ after sync? Unable to see Merge option. Where is the contact sync organiser. Without this Merge Option, most of the iphone users have lost their data. why there is no merge when i press sync sometimes? Hi, I have 7 contact folders in Outlook but my iPhone will only sync 4 of them. Is there a limit to the number it will sync? thank you so much! this finally worked, i’ve been searching for ages! thank you! how to not sync contacts to computer? Sync everything excluding contacts. This worked like a charm! Thanks, iPhone Expert! How come when i sync my contacts the USA appears in each contact. How do i stop this from Happening. call me stupid but I can’t find the “Device” section? I have all these icons but none of them say “device”. closest thing is “settings”. also I don’t want the phone to overwrite the outlook- the outlook to overwrite the phone. I have the exact same problem? Tried everything you have mentioned above, but yet the contacts from the iphone are not getting replicated inn Windows address book. While the above has not happened, but i am also not sure that how would i get these contacts to my outlook post the above procedure.. Anyway even the above has not happened.. I have spent crazy number of hours trying to figure this out & your help will be greatly appreciated. I’m having the same problem. I followed the directions exactly, but nothing synced. Super annoying. Also i am not too tech savvy & am not sure how will i get to know if you have replied to my questions above…how will i get to open this particular conversation again..
My outlook has no contacts and I would like to backup the contacts to it . I have followed all the instructions in the tutorial but no backup . Outlook show up in both the Contacts and Calendars sync options. Following your procedure, I can transfer all the iphone contacts to window address book. 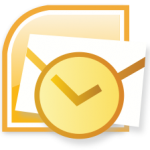 How to transfer the contacts from window address book to outlook 2010? Ticked sync contacts & changed from outlook to windows contacts. got a message saying it woudl change the way MobileMe worked and then I got a ‘revert’ button & an ‘apply’ buttons, no ‘sync’ button so I chose ‘apply’ and it threatened to cancel all the apps I’d downloaded onto my iphone….which I didn’t do. Any suggestions? I really do need to be able to sync from phone to laptop more often than the other way round! Hi: in setting up a new computer, my Outlook contacts were deleted, same with my iPhone, which syncs wirelessly through Exchange Server. Fortunately, I was able to restore these contacts from an iPhone backup and have prevented further wireless deletions by keeping the phone in plane mode. I have tried to do the iPhone to Outlook sync described above, but only the contacts that are transferred are those identified in contacts group “all from my PC” event though I checked transfer all contacts in iTunes. The others appear to be linked to my exchange account. Any ideas? Works fantasticaly. Thanks for knowledge sharing. Thank you so much – it worked well! One contact on my iPhone has 11 numbers, but when I sync with outlook, it only copies 4 numbers. Is there any setting that I’m missing?? I set up my Itunes account on my boyfriend’s computer and downloaded all my music. Then when i went to sync my IPhone 4 to this to get the songs onto my Ipod, the Iphone synced all his outlook calendar entries and my contacts (luckily still preserving his). So, next time i wanted to download more music, and I plugged my Iphone in and made sure i un-checked the ‘sync contacts’ and the ‘sync calendar’ boxes in the I-tunes settings. I then stopped the sync because it prompted me ‘this will replace any existing libraries’ and i was worried i would lose all the music i already had on the iphone and purchased via i-tunes (directly onto my phone). So now It erased all my contacts and calendar entries from my phone but worse has replaced his outlook with my stuff and ERASED ALL of his work contacts and calendar entries!!!!! PLEASE HELP!!! 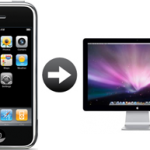 I would like to just merge contacts from PC to iPhone and vice versa….is this so hard? Really? I’ve tried this function and still cannot see any contacts in Outlook 2007. They are still all on my phone. It’s almost like Outlook doesn’t want to pull in anything. I tried all suggestions to sync my IPhone 4 contacts with outlook 2010 using Windows 7 and nothing has worked. I called Apple service center and they told me it is not possible, that the sync only works from outlook to the iPhone, not vice versa. Apparently that is not the case based upon the comments contained in this discussion area. Can anyone help me? 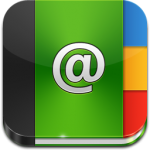 This is a great article for sending iPhone Contacts to WAB, but it does not state how to import those WAB Contacts into Outlook 2010. Could you please elaborate, as this part of the process is not clear to me? I was super excited to find this, because I really need to sync my contacts from my iPhone to Outlook. I followed the directions exactly, but when I open the wab, the only contact there is my own. I have re-schecked settings and hit “sync” again in iTunes. It goes through the sync process and says it is complete, but still no contacts. Any ideas? I tried the above process and it synced my contacts, however, only one phone number entry from each contact appeared in WAB. Please advise how I can have all numbers inluded for each contact? i tried so hard pass my whole contact to iTunes without iTunes will remove them! i help me so much thanks ! This is not working for me at all. I can sync my iPhone with iTunes 10 but can’t get the contacts on my iPhone to go to Outlook 2010. This still does not work, nothing happens when syncing, after following all instructions above. The add-ins text is not entirely the same. Does my computer have to be connected to the internet in order to sync my iPhone to my Outlook with iTunes? Hi, i wonder if u guys can help, i want to sync my iphone with outlook “not outlook to iphone” so that i can have all the new and modified data on my iphone to be on outlook also. is there a two-way sync between them??? Working with the i4S, iTunes 10.5 and Outlook 2007. Second day and I am not getting this to work. 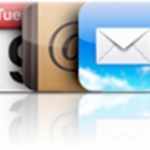 My goal is the two way sync as I want changes that I made on my iPhone on a recent trip to adjust my Outlook Contacts. Were there changes with the i4S or do I need to keep playing with the procedure? I just got a new 4s – my first iphone. I was assured that the iPhone would sync with Outlook, but it does NOT. I have tried all of the tricks mentioned here and in other similar posts/tutorials from Apple, but to no avail. I installed iTunes on my laptop PC (Win XP Pro SP3) and it installed ok. I am running Outlook 2003. When I plug iPhone into USB port, it launches iTunes and starts 5 step “sync” process but fails at step 3 because it “cannot create backup”. Does anyone have any suggestions – I thought the whole attraction to Apple was that it was easy to use – right!! This information is perfect. Can I do the same thing with my iPhone calendar? I have tried syncing with Outlook and Gmail and I still can’t see my calendar entries in either program. i tried and i cant seem to see it…trying to sync it to the windows contacts. The numbers in my iphone that was created under the “iPhone” or other fields, beside those that are supported in Outlook (eg. Home Phone, Business Phones, Business Fax..etc) are not sync to Outlook. Is there anythign that I need to here? 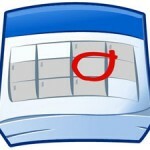 I am able to sync my Outlook 2010 contacts & calendars but not my Outlook 2010 contact GROUPS. Anyone else experience this same obstacle, and if so, how were you able to resolve it? I have all my contacts on my iPhone (synced with exchange account at work). I do not have any contacts in outlook or windows (wab) at home. I set sync contacts in iTunes to Outlook – didn’t work, then to Windows – didn’t work. No contacts show up under wab folder. I can’t figure out why it won’t push the contacts on the iPhone to my outlook on my home computer. I have outlook, iphone, icloud properly and perfectly connected and synchronised. 1. In the field where the number is when in access i write +7916xxxxxxx it exports to outlook without + which is bad and annoying. How can i make it so that it brings the + together as it is? 2. When i export some contacts, who have several numbers under 1 name, somehow they get separated. So i have 5 Johns in my outlook and icloud with different numbers. – How can i merge these contacts into one? taking in a view that i have lots of those contacts (multipled ones) to edit? maybe theres some kind of a prog for that? I tried this and after following the steps exactly, there were two items in WAB: the one entry I have in Outlook and one new item, which was just my company name (the name of the computer/user logged in). I was earlier successful in getting the one contact in Outlook and the one calendar event in Outlook to show up in the iPhone, but still can’t seem to get what is on the iPhone to show up in Outlook. 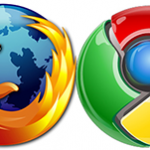 To me, the term “sync” implies a two-way exchange of information, but it just isn’t working. 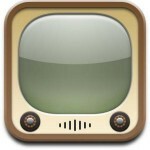 I am using Outlook 2003, iTunes v 10.5.3.3 and iPhone 4s with v 5.0.1 (9A406). Please help! if we can get the info on the iPhone to show up in Outlook, that would be great, but it would be fantastic if we could get it to sync (two-way) each time, without multiple processes. Shouldn’t it be able to do a two-way sync in one fell swoop? Thanks! THANK YOU SO MUCH! THIS WORKED PERFECTLY ! 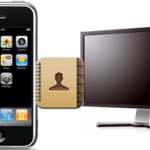 I WAS WONDERING … HOW DO YOU TRANSFER WAB CONTACTS THROUGH IPHONE? My IT department is having problems with my Iphone syncing to outlook. I can go from out look to my phone but I can’t go from my phone to outlook? 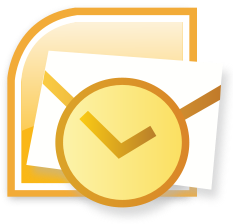 1. in Outlook Express: export your contact by – File>Export>Address book, check comma separated text, then Export. Type in file name and browse folder you are pointing to save the .csv file. Klik Next. Check field you think you will needed. Klik Finish. There will be notification mentioning “Address book export process completed”. Close export process. 2. Open you Gmail account. When you logged in, pulldown Contacts (below text Gmail). Pulldown word “More” and klik Import. 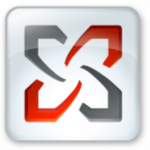 You browse the .csv file you save in step 2 above. Click “Import”. 3. In the iphone, tap Setting>Mail, Contacts, Calenders. Accounts: Add account..Other (below Hotmail), AddCardDAV Account, Server: google.com, User Name: your complete gmail account, Password: your password. Account creation finisih. There is Google (contacts) in the Account list. 4. Still in the Setting>Mail, Contacts, Calenders. Select Default Account to Google. 5. Try to create new Message. That’s it..your contact already in your ipohone. I have gone through the process to synchronize contacts and calendar with my iphone 4s, i have outlook 2010. When i go into itunes -info. Under sync contacts & sync calendar there is no box to check to sync with outlook, all it says is your contacts are being synced with your iphone over the air, there is a check box for notes which i have checked and that suncs fine, any thoughts would be much appreciated. How do I sync my iPhone calenday with Outlook calendar? Does this work for calendar too? I would like to sync my Iphone Calendar TO Outlook on a new computer. Sorry. Procedures don’t work. I now have 6 outlook calendars created by automated web programs and none of them sync with each other. I still have to manually copy events into the icloud calendar to get anything to show up on my iphone. Google doesn’t work either – it gets hung up continually asking me for username and password and claiming it is the wrong one. iTunes is a bad program to put on a PC – it starts grabbing things and changing things without permission, adding junk to folders and changing where things are stored. iTunes is a Mac program and best left on a computer in which people aren’t supposed to know how or where their files are stored. I have an iPhone 6 & just downloaded Office365. Office does not see my iaccount calendar or contacts. In iTunes I can check to sync outlook mail but it refers me to the phone otherwise and I can’t find anyway on my phone.